When it comes to finding quality, pre-owned, American-made vehicles, look no further than Armory Garage Chrysler Jeep Dodge Ram in Albany, New York! Our Upstate New York location is the proud home of used Chrysler vehicles like the ever-impressive Chrysler 300 sedan, perfect for upgrading your morning commute. Our Chrylser Pacifica and Chrylser Pacifica Hybrid minivans are here too, ideal for navigating life with the entire family in tow. Hurry in today to learn more about our fleet of pre-owned cars and minivans! 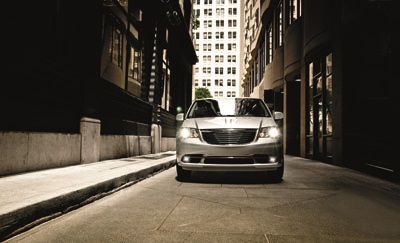 Find a used Chrysler model at your local Albany, NY Chrysler dealership. Armory Garage Chrysler Jeep Dodge Ram in Albany, NY is excited to show you around a lot loaded high quality cars and minivans, as well as helping you choose the right vehicle for your lifestyle. That includes a pressure-free chance to take a look around, and some time with our sales team to learn more about our stellar Chrysler lineup. Stop by Armory Garage Chrysler Jeep Dodge Ram today to schedule a used Chrysler test drive!Buying pre-owned vehicles will help you save cash, especially with help from Armory Garage Chrysler Jeep Dodge Ram in Albany, NY. Whether you're looking for a low-cost option or just an older model, our seasoned finance team will work with your to find the best and most cost-effective solution. Allow us to work with your credit history and trade-in value to help make the most of our used Chrysler deals! Visit today to get the conversation started. Buying pre-owned vehicles will help you save cash, especially with help from Armory Garage Chrysler Jeep Dodge Ram in Albany, NY. Whether you're looking for a low-cost option or just an older model, our seasoned finance team will work with your to find the best and most cost-effective solution. Allow us to work with your credit history and trade-in value to help make the most of our used Chrysler deals! Visit today to get the conversation started.